Janet Mills, in fact, wants to argue for the other side, that the state Constitution was violated by LePage officials when they emptied the Downeast Correctional Facility last week. AUGUSTA — The Maine Department of Corrections agreed Wednesday to halt equipment removals from the now-vacant Downeast Correctional Facility while a legal case against the LePage administration proceeds. Maine Attorney General Janet Mills, meanwhile, is asking the court to order the administration to transfer prisoners back to Machiasport and halt staff layoffs at the facility on grounds that the prison’s abrupt closure violated the constitutional separation of powers. On Tuesday night, Washington County’s commissioners had requested an injunction to prevent the LePage administration from taking steps to render the minimum-security prison in Machiasport unusable in the future. Corrections staff had reportedly begun removing beds, sewing machines and other equipment from the prison after LePage ordered it emptied in a pre-dawn operation last Friday that infuriated county officials. Tracy Collins, an attorney representing the county commissioners, told Superior Court Justice Michaela Murphy that the Department of Corrections has agreed to a “stand still” at the prison while the case plays out. “It is essentially preserving the status quo until we can work out the legal issues in this matter,” Collins said during Wednesday’s brief court hearing. Murphy also rescheduled further hearings on the injunction petition until the LePage administration has hired private legal counsel. That is necessary because Mills – a Democrat running to succeed LePage as governor this year – not only declined to represent the administration in court, but has requested intervenor status on the opposite side. Two assistant attorneys general attended Wednesday’s hearing, seated at a table behind Collins and Chris Gardner, chairman of the Washington County Commission. 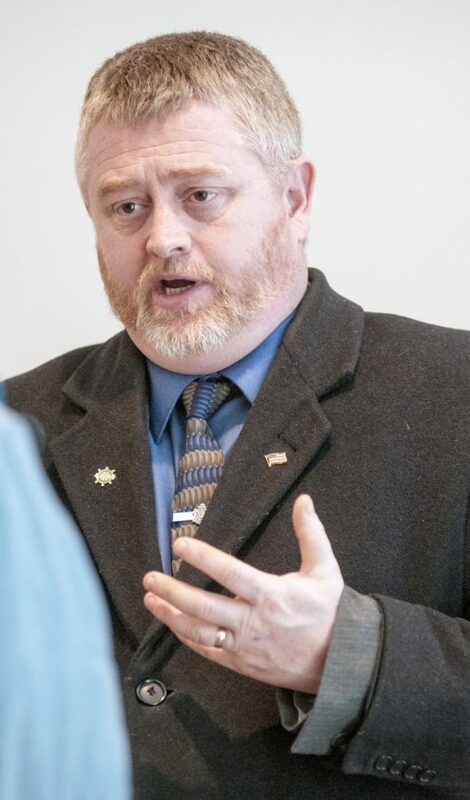 In the request for intervenor status, Mills argued that Corrections Commissioner Joseph Fitzpatrick’s closure of the prison was “unlawful” because it violated the separation-of-powers clause of the Maine Constitution. The Legislature voted last year to fund the Machiasport prison through June 30 of this year, and a legislative committee voted this month to extend that funding an additional year while studying the impacts of a closure. “Where an executive agency has violated the law resulting in immediate harms to the public welfare, the Attorney General, by virtue of her constitutional and common-law role as chief law officer of the state, has an interest in the subject of the litigation,” reads the intervenor request from Mills’ office. LePage had more than 60 inmates transferred to other facilities last Friday and placed nearly 40 staff members on administrative leave, following through on his long-standing desire to close a prison he views as costly and unnecessary. But the decision and the secretive way the prisoner transfer was handled riled Washington County officials, who view the prison as critical to the local economy. County officials and state lawmakers also have asked Mills whether the LePage administration could legally close a facility that is written into statute and was funded by the Legislature. LePage’s office declined to comment on the pending litigation or Mills’ decision. Brent Davis, LePage’s chief legal counsel, also declined to comment after Wednesday’s court hearing, but told Justice Murphy that the administration was close to hiring a private firm to represent the Department of Corrections. Gardner, the county commission chairman, said he was pleased that the governor had agreed to the “hands-off order” while the case plays out. 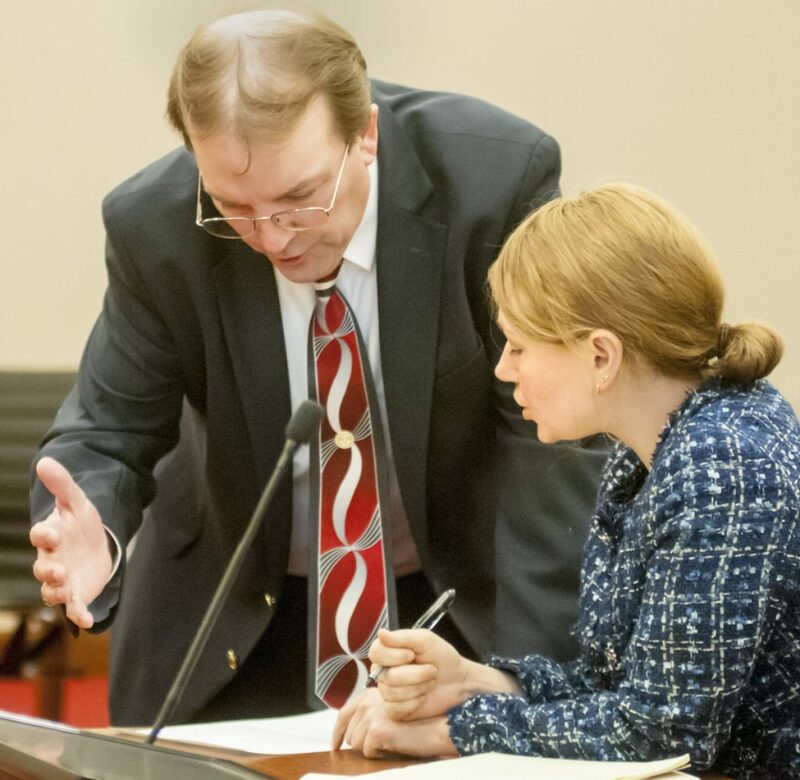 “But it is our hope that if the governor is interested in having this kind of cool-down period, perhaps we can extend that all the way to the end of the legislative session and let the Legislature do its work,” Gardner said after the court hearing. On Tuesday, the Legislature’s Criminal Justice and Public Safety Committee voted unanimously to endorse a bill that would provide an additional $5.5 million to the Downeast Correctional Facility for the fiscal year that begins July 1. If approved by the full Legislature, the bill would be the second lifeline in less than a year extended to an aging prison that serves as one of the state’s pre-release facilities for low-risk inmates. The governor maintains that the facility is more expensive to operate, per bed, than Maine’s maximum-security prison, and that newly added capacity elsewhere will allow the prison system to absorb the remaining Downeast inmates. But Washington County officials, as well as staff at Downeast Correctional, accuse the administration of fudging the numbers and note that the prison was built for 150 prisoners, not the 63 that were housed there last week. The sudden closure of the prison also affected businesses that had hired and depended on work-release inmates because they were unable to fill positions with local workers. Some officials from those businesses said they were not given any prior notice of the inmate transfers and, as a result, were forced to reduce production while looking to fill the positions vacated by work-release inmates.